The Fraser Hart I dealt with were excellent. 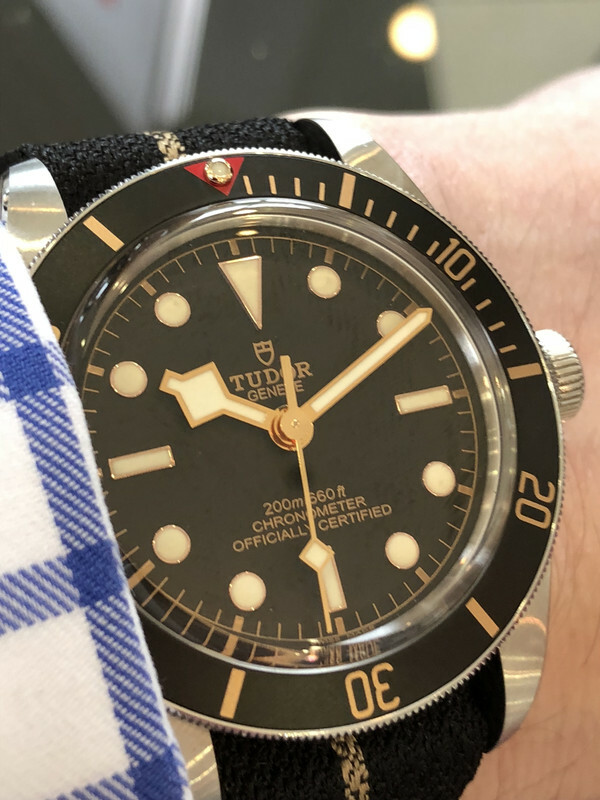 They were clear that it was a central buy (60 in the first batch) nationally that their buyer had secured from Tudor, and all the ADs were in a strict queue to acquire them from HQ. 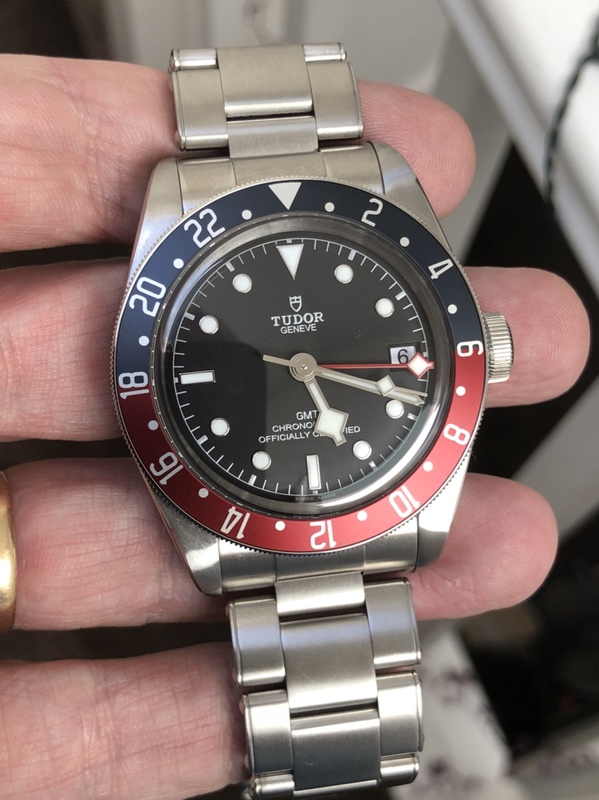 BTW the blue NATO is from the BB Blue, I have had one for ages (bought here), and I wear it on my Pelagos quite regularly. It was not supplied with the watch (which I got on bracelet). Note also that the Crafter Blue Rubber (see above) which is sold as a BB strap only, does not fit the Pelagos at all, which is a shame. But the lug holes on the Pelago are a lot closer to the case than on the BB. Good to see these are in the wild and I think Sweets blue nato looks awesome. 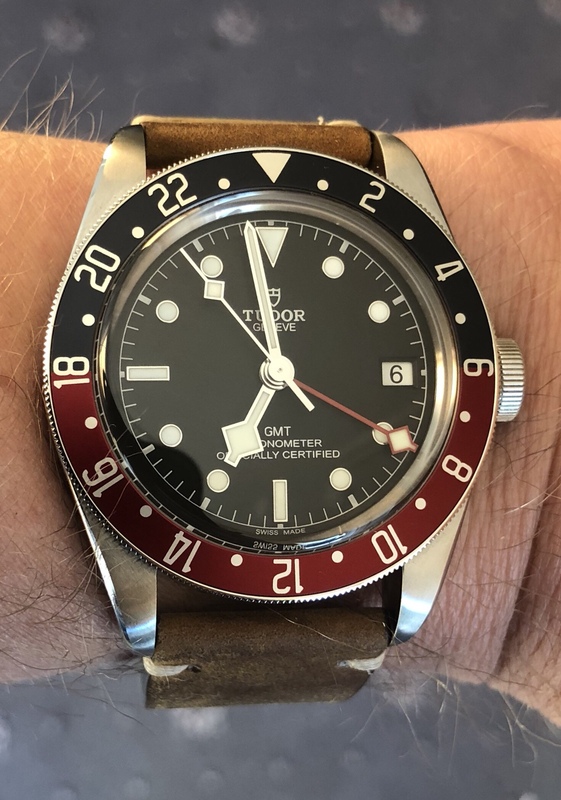 My local Goldsmiths are struggling to get any in but had a long chat the other day and was told that all Tudor models (with the exception of the rubber Pelegos) no longer come with a free alternative strap since the start of June, so only the current stock will have that extra perk, shame. I am sixth on the list and will probably miss the first round but she said she would still call me to come in and have a look at the first batch they get. She seemed genuinely annoyed that head office had sent out their first batch but her store had not got even one. Would you believe I am no 5 on the list at Goldsmiths Nottingham!!! 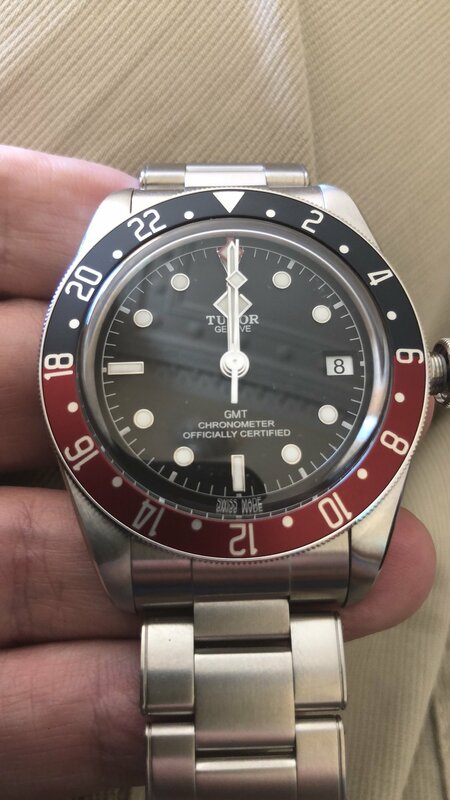 Do Tudor send direct to the AD? Or do they send a large number to goldsmiths HQ and then head office at goldsmiths choose which stores to send to? Strangely the girl in my store didn’t know the answer to this. I know of at least a couple of people who have had theirs from goldsmiths but Glasgow have received none. That's the impression that I get. 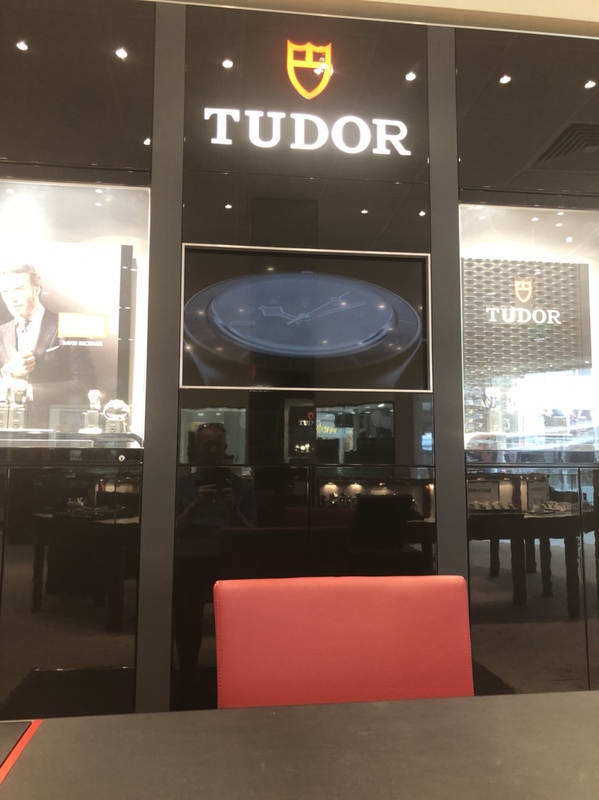 Tudor send a batch to Goldsmiths HQ (Watches of Switzerland are in the same group), who then send them out to stores. Like I said, my local branch were noticeable peeved at not getting any. Bearing in mind there are only three Tudor AD's in the east midlands and the only one available to view was on a Nato in Derby. Last edited by You Only Live Twice; 17th June 2018 at 16:24. For some reason I’d not thought about a NATO on my Pelagos, be interested to see that. I like these . But no way would pay over list. I’ll wait 3 / 6 / 12? months to get one at list. No rush. I concur with those who think the NATO, though looking good, is overpriced. 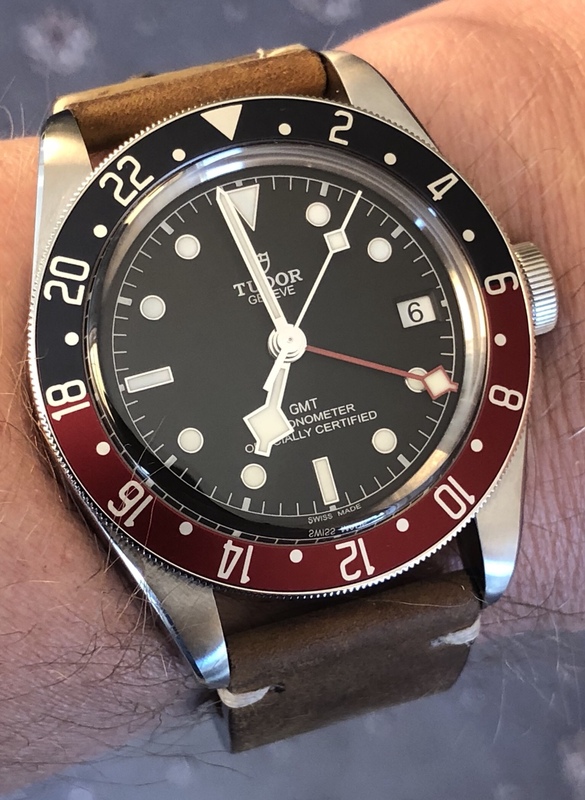 Tudor’s pricing of this model says the NATO is worth as much as the leather deployant, and the bracelet only commands a premium of £220 over the NATO. That strap looks good but I think you could pick up one equally as impressive for £50 or less. And who really cares if it doesn’t have Tudor stamped on the buckle? Last edited by NickRed71; 18th June 2018 at 07:57. 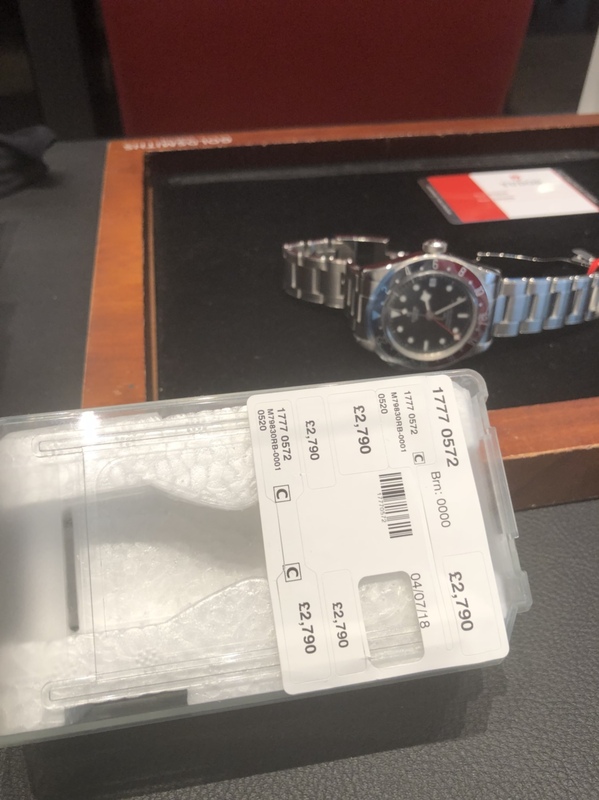 Yes agreed, the NATO version prices the same as the leather deployant and only £220 less than bracelet seems to overprice the NATO. It’s nice looking but I think you could pick up one equally as impressive for £50 or less. And who really cares if it doesn’t have Tudor stamped on the buckle? That's just a peach. Got a shot with more of strap showing? Have you heard anything yet from Goldsmiths? I shall ring again next week. I know Goldsmiths come in for some flak, but my experience with them with previous purchases is pretty good, and encountered people that actually know what they are talking about!!! Thanks for the update, I will pop in on Friday and have another little chat. I am off to Saville on the 10th July and back on the 17th. Need to know they will hang on to one for me if they show up then. Got call. Collecting on Saturday. Would love to see some pics of Erika’s original MT on it if anyone has one? The trident navy with red stripe one? Yes, just tried mine and it has 48 clicks. 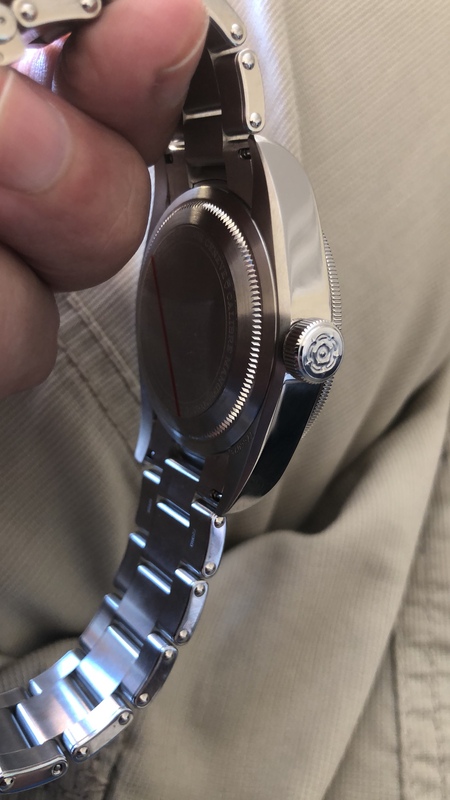 I believe even the Rolex 6542 had a 48 click bezel spring. Some AD sales rep has a vivid imagination and very little historical knowledge. Lucky lad. Can I ask where? I was in WoS Glasgow again on Saturday and I'm "top 3" apparently. Nipped down to Laings in the Argyle centre and they're saying around Christmas with a deposit. I'll stick where I am i think. I'm also going for the MN strap, it looks near perfect. LOL at “waterproofness.” Is that even a word? 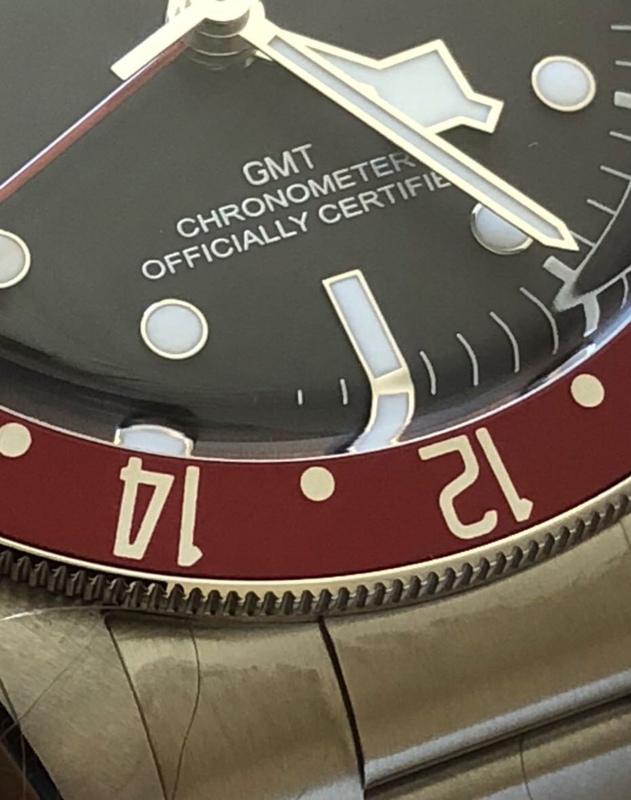 Nolo contendere on the “8 notches.” Maybe that refers to clicks, maybe that refers to bezel position. Don’t know, don’t care. Someone with that model can chime in. I’ve never handled any of these, especially a 6542. 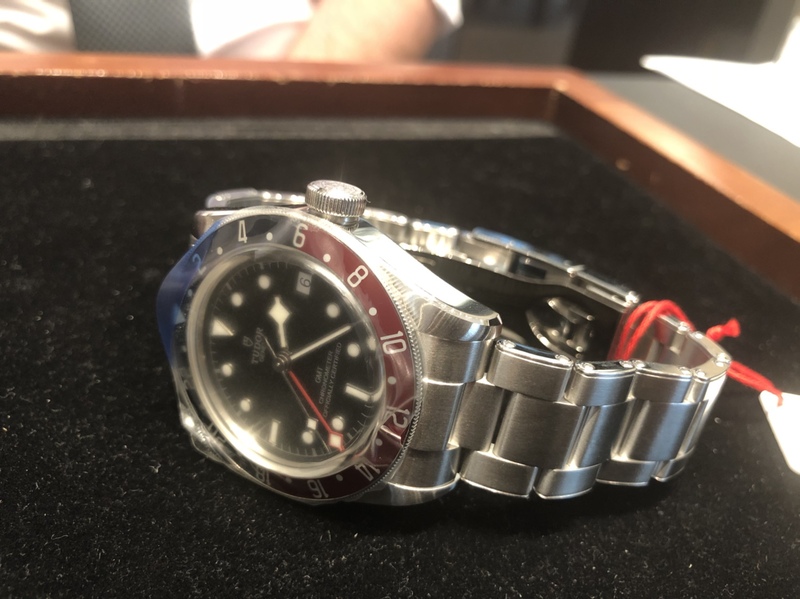 All I know is from the articles that asserted Rolex replaced a 60-click spring from the Turn-O-Graph with a 48-click spring to create the initial Pan Am GMT-Masters. Goldsmiths Eldon Sq, Newcastle have only had 1 so far, and I'm not first on the list so still waiting impatiently here in the North East. 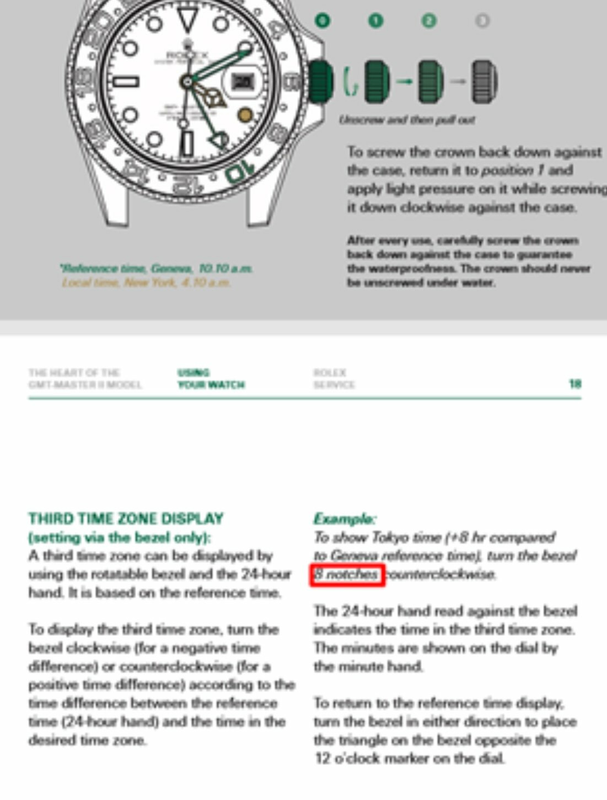 Seems his knowledge was correct, his imagination was in check, and Rolex’s use of the word “waterproofness” was correct. Triple whammy huh. Thanks for confirming - and grats on the watch you lucky thing! Oh, the shame, the shame. I’m off to hide under a rock after I’ve finished doing my back in with a whip and deleted all my social media accounts. Mine has arrived. Picking it up on Monday. You seem wound up? Everything ok there? I hope you aren’t talking about the display model that isn’t for sale? That catches a lot of people out. Oh, thanks for those pics, Rustybin5. Loverly. Last edited by ChromeJob; 6th July 2018 at 18:25. Those pictures make this model even more appealing. I’d have to put a non-refundable 50% deposit down for local FH ADs at the moment. So will probably postpone until next year once the feeding frenzie has calmed down. Thats a thing of beauty! Calm down dear. If you turned it down it will just go to the next person on the waiting list.